As a pioneer and developer of the esthetics and spa industry since 1970 Intercosmetics is a company you can trust for offering Swissmed Skincare products. 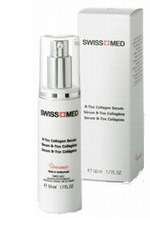 Swiss Med is a unique anti-aging skin care treatment from Switzerland. It uses anti wrinkle hexapeptide, to decontract the skin, thereby smoothing out fine lines & wrinkles. Powerful anti-oxidants including Vitamins C, E and A prevent & reduce damage caused by environmental exposure, ingredients such as Marine Collagen and Hyaluronic Acid improve the tone, elasticity & moisture of the skin.